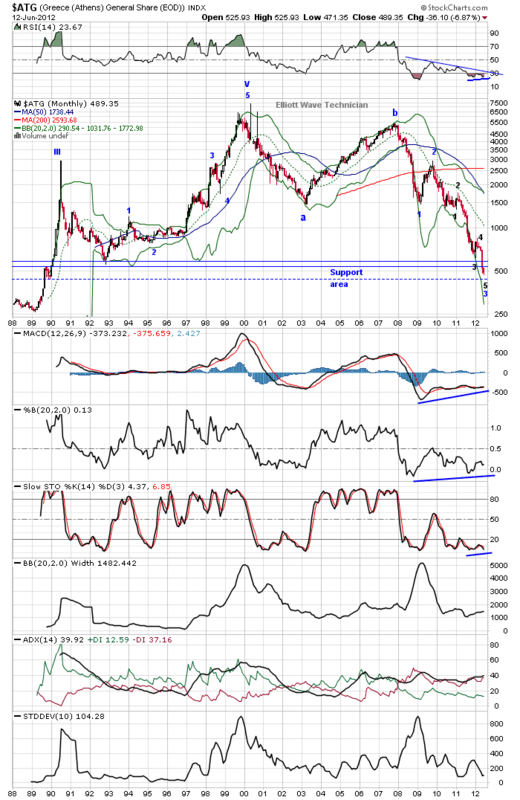 The stock market of Greece is declining in a large Cycle wave “C”. Since the peak in 2000 we are down approx. 94%. The decline in primary wave “3” marked in blue of Cycle wave “C” is most likely complete. 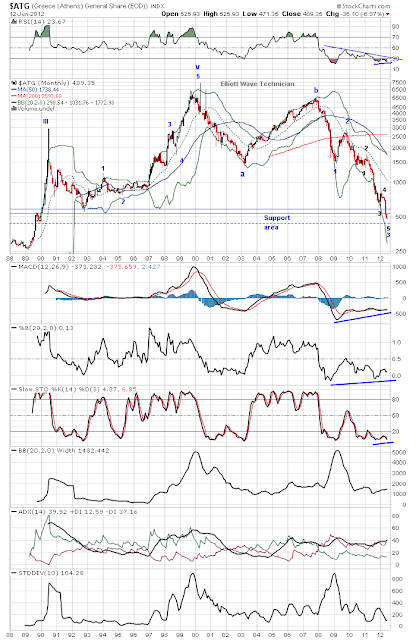 A rally in primary wave “4” of Cycle wave "C" is in the early stages and should last multi months.